Plex doesn’t exactly hide the fact that it’s a killer app for pirated video. Just look at the marketing materials for the media server software, and you’ll see how easy it is to stream your collection of movies and TV shows to all your devices. The open secret is that you probably can’t acquire that kind of video collection without downloading from BitTorrent or ripping your DVDs or Blu-ray discs (circumventing copy protection is either against the law or fair use of discs you purchased, depending on your perspective). Hey, I’m not here to judge. But I was interested to see if Plex could be a valuable tool for law-abiding cord cutters as well. After playing around with the software and asking some kind folks on Reddit, I've found some legal uses for Plex that are worth checking out. Now that Plex has revamped its Roku app, it’s a fine time to take another look. Plex is actually two programs in one. On one end, there’s the media server software for desktop computers, which serves up your videos, music, and photos to other devices on your local network. (There's also a separate version for network-attached storage drives, which typically run on some flavor of Linux.) Install the app, tell it which folders you want to share, and Plex automatically makes those files available to other devices. That's where Plex's client apps come in. Download the Plex app for your phone, tablet, or set-top box, and you'll easily be able to view your computer's media over a local Wi-Fi network. Plex’s media server software is free, but the company charges $5 for most of its client apps. 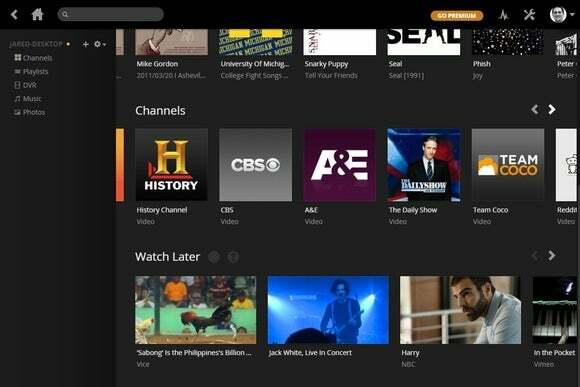 Plex also has a $5-per-month subscription service, called Plex Pass, which offers features such as cloud streaming, managed user accounts, and offline viewing on phones and tablets. Fortunately, a subscription isn't necessary for the uses we'll discuss here. One of the best ways to use Plex legally is as a source for online video. Plex offers several “Channels” from sources like Comedy Central and The Food Network. 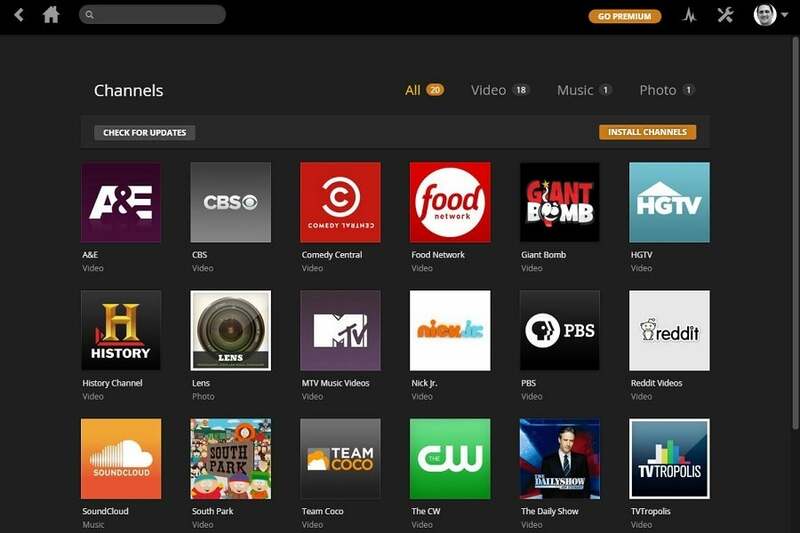 So even if your Roku or Fire TV Stick doesn’t have apps for those channels, Plex has you covered. Setting up Plex Channels is fairly easy. Just right-click on Plex in the system tray on your PC, and then open Media Manager. Head to the Channels section from the left sidebar, and click Install Channels. Plex Channels serve up web video that might otherwise be hard to get on your TV. You don’t have to limit yourself to video from Channels, however. Using another tool called Plex It, you can bookmark videos from around the web, letting you watch them later on your TV. This is especially useful for video sites that don't have a TV app available, though it doesn't work on some big ones like Hulu. To set up Plex It, you will need a Plex account. Create one, sign in through the Media Manager on your computer, and you should see a “Queue” option added to the main menu. Click the “?” button, and you’ll head to a web page where you can drag the Plex It button onto your browser's bookmarks bar. Now, you can just click the Plex It bookmark button when you’re on a page with video, and Plex will add it to your queue. I wish Plex It supported more sites, but the current list of working sites has a handful of gems. Try using it at Adult Swim, NBC, Discovery Channel, and Disney Channel to stock up on videos you might want to watch in the living room. Another interesting use for Plex is as a server for videos from an over-the-air DVR. I recently purchased a cheap USB TV tuner for my desktop computer, and set it up to view and record broadcast TV through Windows Media Center. (More on that in a future column.) 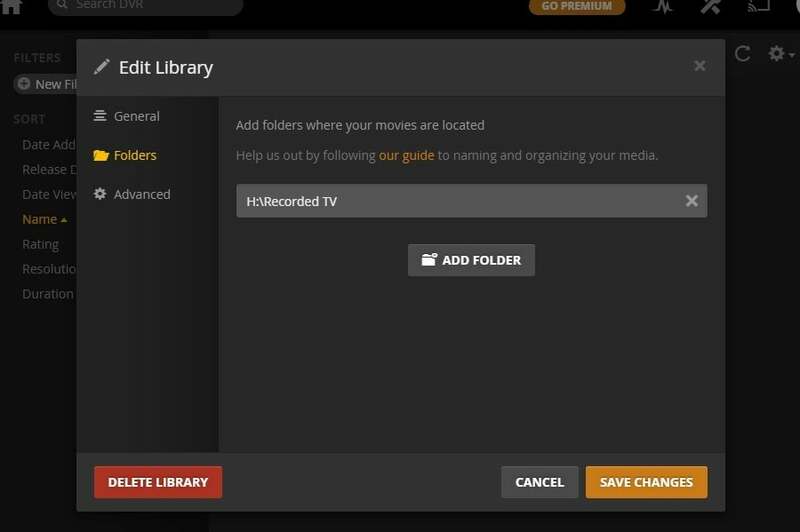 Every recording goes into a “Recorded TV” folder on my desktop, and I've told Plex media server to serve up any video that appears in that folder. So now when I use the Plex app on my Roku or Fire TV, any show I've recorded on my PC is automatically available for viewing. Point Plex to Windows Media Center's recording folder, and presto! Whole-home DVR for you. The one problem I ran into was getting Plex to recognize the files, which Windows Media Center saves in Microsoft's proprietary .WTV format. Plex only recognizes these files if you add the library as a “Home Videos” folder, rather than a “TV Shows” folder in the media manager. Converting the files is an option, but I like that the recording and viewing process is automated. It's a nice way to grab interesting shows from over the airwaves and save them for later viewing. Beyond video, Plex is also a handy way to bring your music collection and personal photos to other devices around the house. For photos, just open the Media Manager, hit the “+” icon in the left sidebar, choose Photos, and then add the folder you want to share. Plex's apps have a built-in slideshow mode, so it's a great background option if you're honoring someone's graduation or anniversary. Adding music is a similar process: Open the Media Manager, hit the “+” button, choose Music, and then add the folder where your music files are stored. You can then import playlists from other programs like iTunes, or create new playlists through the Media Manager software. Sure, Plex is at its most powerful when you have a huge library of movies and TV shows to tap into—regardless of how you acquired them—but its streaming capabilities can still be a valuable tool in the cord-cutting arsenal. Be sure to check out my earlier columns for even more cord-cutting tips.